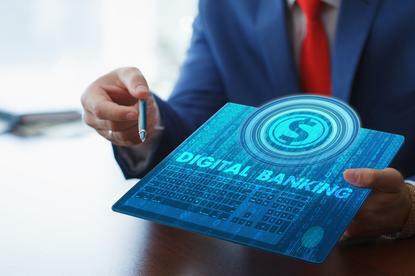 The new mobile-first bank debuted in the Australian market this week, promising to be a genuine alternative to the country’s four established big banks. According to its founders, former UK neobank veteran, Anthony Thomson, ex-ANZ Japan CEO, Robert Bell, and ex-Cuscal CIO, Brian Parker, the bank will launch in beta towards the end of 2018 and has been two years in the making, building a suite of proprietary technologies to support its aims. Initially, it’s planning to offer transaction and savings accounts to the public from early 2019, via a mobile app, with financial products to be added over time. The bank has been working with the Australian Prudential Regulation Authority and is in the process of getting a full banking licence. It’s fully funded and backed by Australian end-to-end payment solutions provider, Cuscal. Alongside the veteran financial markets executives, 86 400 has confirmed former GM of digital at Westpac, Travis Tyler, will join the group as chief product and marketing officer. Other incoming leaders include ex-head of operations for Australian Unity Bank, Matt Chan, as COO, and former Cuscal head of finance, Neal Hawkins, as CFO. In all, the company said it has a team of 60 working to get the bank off the ground. “In order to compete with the big banks, we not only need to offer the full range of services, but we also need to do things differently,” Bell said in a statement. “86400 will have a beautiful, intuitive app, but that won’t be where it ends. We’ve invested a huge amount of energy into building a bank that is technology-led from the start. Specifically, 86400 plans to learn how to service customers in increasingly personal ways, using technology, data and machine learning to determine and then interact based on what customers value most in real time. “Because 86 400 will ultimately have a lower cost ratio than a traditional bank – completely free of expensive, cumbersome legacy technology and physical branches –we’ll be able to provide better value products for customers and better returns for investors,” Bell claimed. The startup said it anticipates requiring at least $250 million of capital over the first three years ago operation, with additional shareholders expected to come on-board during that time. Cuscal MD, Craig Kennedy, said the business has been set up and funded by his company as a separate entity with a separate board and team. “We’ve backed 86 400 because nobody in Australia is leveraging all of the capabilities available to maximise the banking experience on your mobile,” he commented.